The worst time to buy shares is at the top of the market but knowing when the market’s peaking is something that comes with experience. We’ve got a few tips which will help you know when to buy FTSE 100 shares. Investors who bought shares at the top of the market in December 1999 have either cut their losses of reinvested their dividends and made profit on them. After that time the market’s pretty much traded sideways with the odd peak and trough. The best way of seeing how the market’s trading is to check the current trade against historic averages. The FTSE 100’s average p/e valuation is 15.8. Anything lower than that’s got to be worth a look. 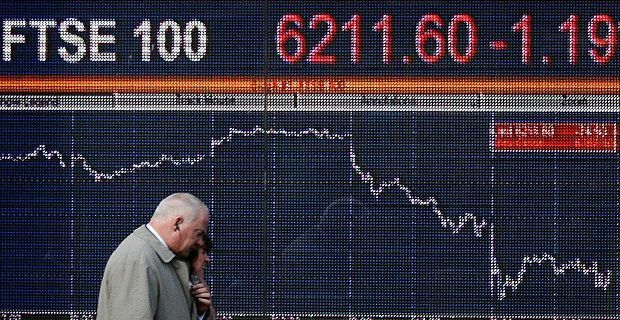 The best year in recent memory to buy FTSE 100 shares was 2009. This was some years after the tech bubble burst in 2000 and a decade after the high trading we talked about earlier but the main reason it was a good year was because of the 2007 financial crisis. If you’ve got money to spend when others don’t, it’s a pretty safe bet that you’ll make a tidy return on your investment. There are a couple of ways you can play the FTSE 100 if you don’t want to buy shares. Buying a fund that’s dealt with by a fund manager is the first way, especially if the person in charge has a proven track record of beating the stock market. A tracker fund is your other alternative. This is a fund that follows the stock markets indices, such as the FTSE 100. It’s charged on a percentage of profits basis. You don’t have to play the FTSE 100 to be involved with it. Why not keep an eye on it for a while and judge for yourself how much to invest? With the experience gained, you may be able to judge for yourself when to invest.